What's Poppin' Tonight! 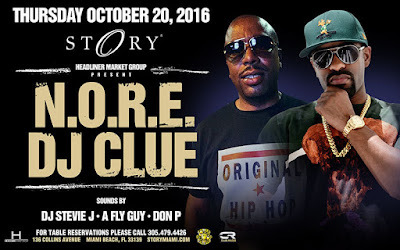 STORY Miami & Headliner Market Group presents N.O.R.E. and DJ Clue at STORY Nightclub #STORYThursday ~ Phresh Hott New! Tonight! STORY & Headliner Market Group present "...hiSTORY in the Making" N.O.R.E. 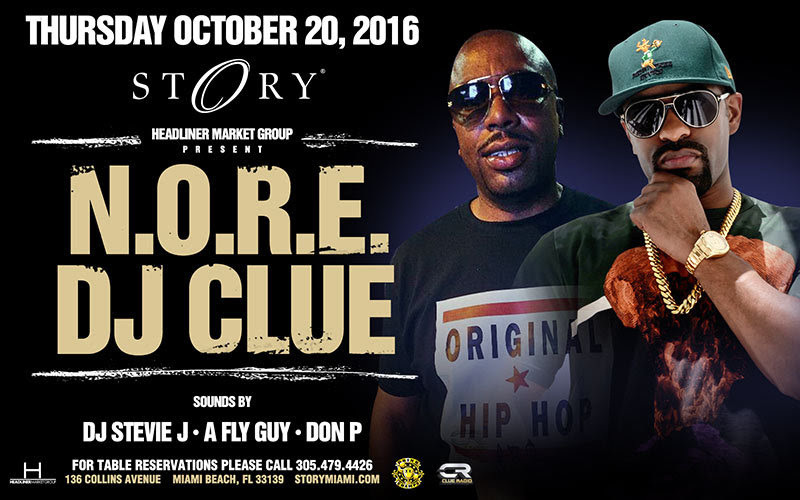 and DJ Clue + More at STORY Miami. Sounds by DJ Stevie J, A Fly Guy and Don P.